Safely stored away when the Allies bombed Frankfurt during World War II, the original furnishings from writer Johann Wolfgang von Goethe's family were later brought out to decorate Goethe House, the author's birthplace. The house was built in wooden-fronted medieval style in 1600. In 1755, Goethe's father completely remodeled it. The home was destroyed during the war but was rebuilt and opened in 1952. A magnificent staircase connects the floors: The top floor features an exhibit on the home's history and its residents; next, a floor with the room where Goethe likely was born, as well as his sister's bedroom; below that, a music room; and finally the entrance hall and kitchen. Consider using the audio guide as you tour the building. 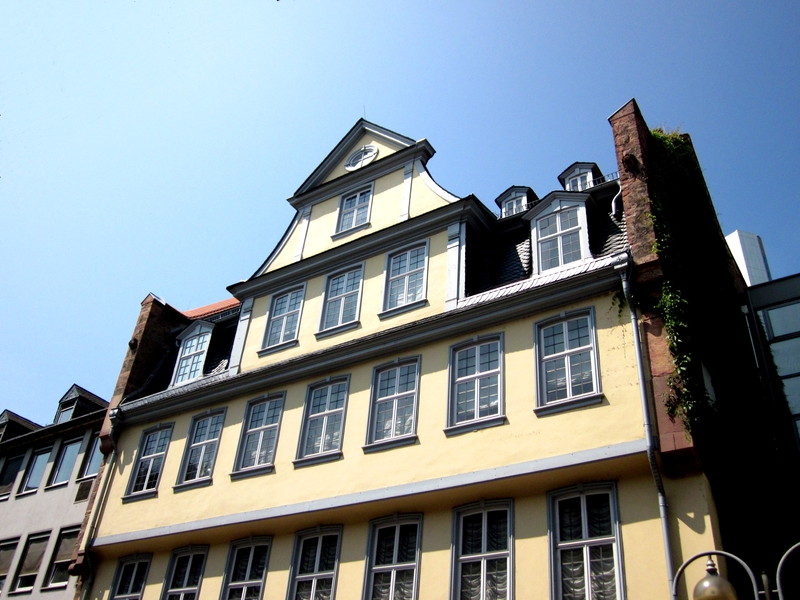 Inspirock's itinerary builder makes planning a Frankfurt trip simple and quick. For fans of German literature and in particular of Goethe this is an unmissable stop. The House-Museum is unique but is divided into two areas accessed through an internal staircase. At The entrance of the house there are sheets (to be returned to the exit) with the map for all the rooms of the three floors, each with a description. Exciting for me the room where you think the great author was born, that of his first compositions and the kitchen. Very welcoming Atmosphere that brings the dreamers back in time and makes you imagine how the author would carry out his life inside those walls. Nice presentation of an interesting historical figure. Also the arts gallery is a good source of context for the period and how great minds in that time worked together a draft influenced the world they lived in. It’s well preserved but the employees inside were not so kind. First of all, credit card wasn’t available, meanwhile cash only. And there was a ma’am sitting at the corner. When visitors went through, she would talk to them in serious manner to remind them not touching anything. In my opinion, normal visitors know the rules, to remind everyone is good but it’s better to talk in much better attitude. Last but not least, a big part was under repair. It was a little pity. But generally speaking, the Goethe Haus was good for a look because all the old things were under good maintenance.